Combine all ingredients in small oven-proof baking dish. Cover with oven proof lid or foil. Bake at 375°F, 25 minutes or until bubbly. 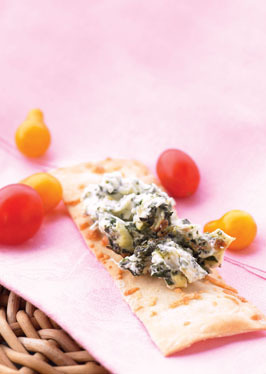 Serve with sliced baguette or crackers of choice. Tip: Use as dip for veggie tray.